Having had one of the snowiest winters ever, this was followed by the wettest May since 1975. 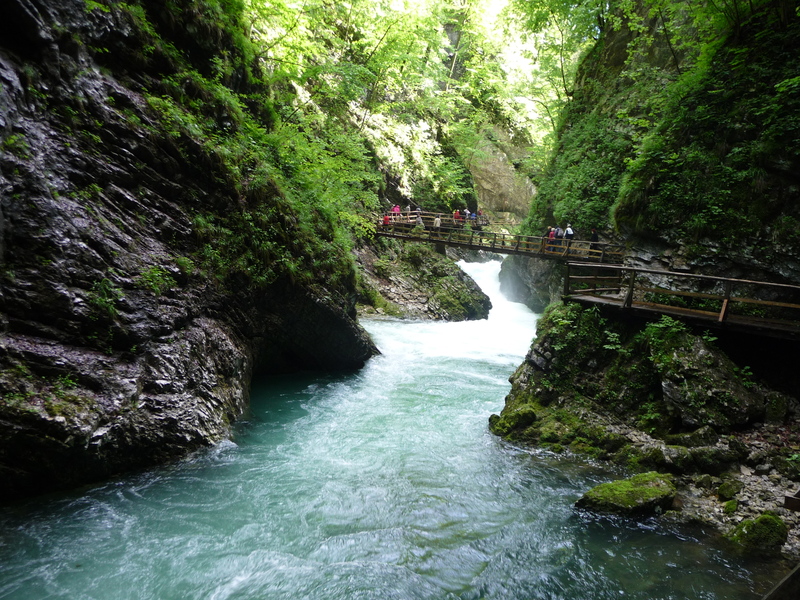 So last week I decided to try to find a positive to the recent heavy rainfall by visiting Vintgar Gorge, which is at its most impressive following heavy rain. By mid-week the weather had improved and by the weekend it was positively summer-like, with the exception of a few torrential downpours and almighty thunderstorms. Sunday was forecast to be the best day of the week and so a friend and I embarked upon a rather ambitious cycle trip; ambitious in as much as she needed to be home by 12 o’clock and between here and there were a lot of kilometres and a lot of ups and downs! Our trip came about as a result of last week’s blog, where I wrote about my attempt at making Dražgoški kruhki. 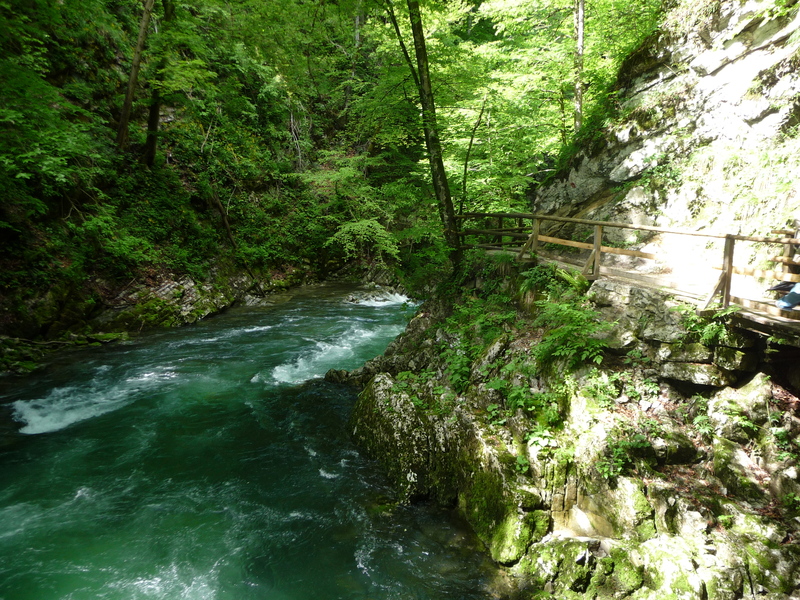 A friend then asked me if I had actually been to Dražgoše, to which I ashamedly replied ‘no’! So, it was time to rectify this and a visit by bike seemed the ideal way to see the best of it as one has more time to take in and appreciate the views whilst cycling. From Kropa we took the windy road, with seemingly countless hairpin bends, up to Jamnik (830m). The church of Saints Primus and Felician, which stands atop Jamnik, is a prominent feature of this area and can be seen from far and wide. From Jamnik we continued onwards to Dražgoše and from there down to the village of Železniki and through the beautiful Selška Valley to Škofja Loka. Then from Škofja Loka to Kranj, Naklo and back to Radovljica. The weather couldn’t have been more ideal for such a trip – hot but not scorching – with just a light breeze to keep things cool. 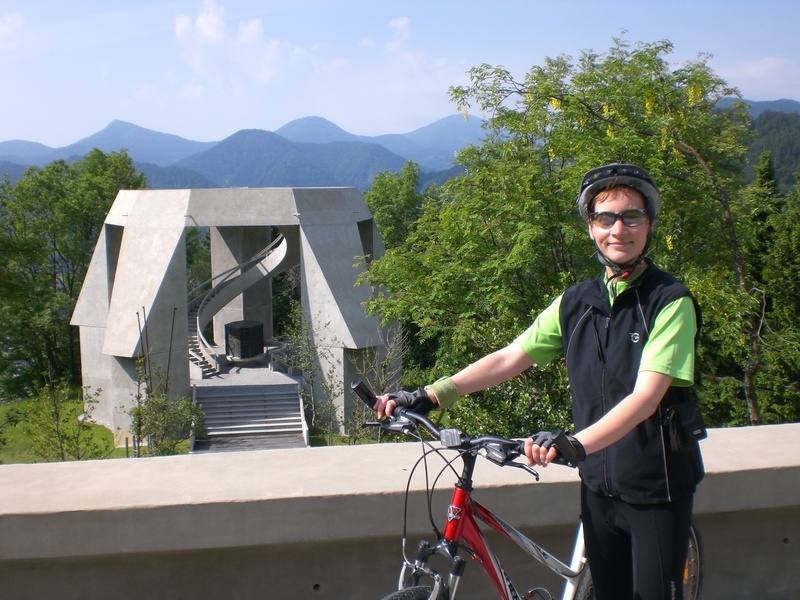 It was a 4.5 hour ride in total with just a short stop at the war memorial in Dražgoše for a photo break as evidence that I was there (we didn’t quite make it by 12 o’clock but weren’t far behind). « My first attempt at Dražgoški kruhki!